You can find best WordPress quiz plugin after comparing so many useful plugins available below to start your question and answer website. We all want big user engagement on our blogging sites and for this we need to create some platform where users can ask questions about their problems and find solutions from the different experts. 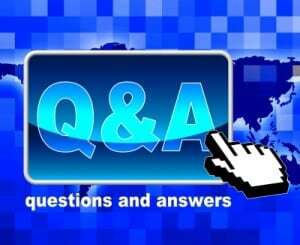 There is a good traffic on question answer websites and with in very few days they ranked among top sites on the net. So if you are planning to start your question answer site then you must select question and answer plugin for WordPress blog. There are various of plugins we have described below and you can choose your best one according to need. Find Adsense plugins and seo plugins and best landing page plugin for WordPress also. It is really awesome plugin which allow web masters to get unlimited questions with unlimited answers on their sites, and there is also no limit for surveys and tests also. We can customize the text which user can see and user can submit text from the blocks easily. Website owners can organize the types for huge variety for questions like multiple choice question and answers, you can decide true or false type or can ask for opinions by tick box from multiple choice surveys. In this way we can organize a big survey to collect some business data or to run a successful opinion polls about top and best things. It is another popular quiz plugin for WordPress sites and have so many unique features which make our website more able to show the tests results or final surveys results in better way. You can save score of the users according to best answers, and users can share the results on social media sites, and it shows if the answer is right or wrong after submitting the response also.This slick quick can put the questions randomly and prevent the submission of the questions without the answers and the final great feature is we can save email of the users the score as per his performance also. It is the free plugin which has all the great features of premium plugins which you can read here. This allows to set a time limit for filling answers of surveys and it allows to use HTML code in both question and answer which is needed by every web master. Some more features are import or export of the functions and supports email notification and fully compatible with cache plugins like w3 total cache. It supports many languages so we can organize quiz series in different regions of the world where people speak different languages. In this way we can target peoples from across the world by using this best WordPress quiz plugin here. I hope the post was informative to find best plugin for start quiz on WordPress blogs. Thanks.